Aging people need more calcium than ever to preserve the health of their bones. Calcium helps lower blood pressure and is found in turnip, milk, kale, and soy. Meanwhile, omega-3s are known antioxidants that protect the body against free radicals, and reduce inflammation. They can be found in walnuts, flaxseeds, salmon, mackerel, and lake trout. Changing your senior’s diet can be hard for them, as they are used to their habits. However, changes can be essential for them to keep their energy and stay as independent as possible. Columbia Home Health Care offers home health services in Columbus, Ohio that include preparing nutritious meals for seniors who cannot do the task themselves. Seniors may not get thirsty as often but their body still needs enough amounts of water. 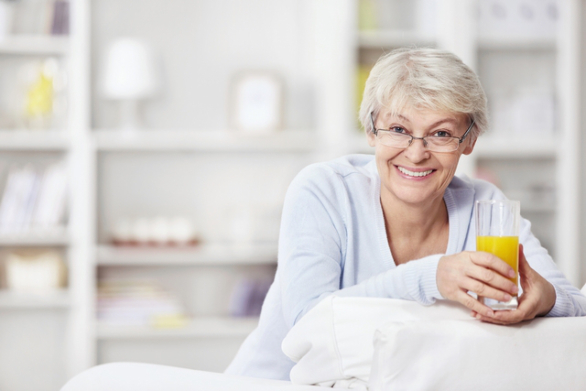 To know whether or not your senior loved one is hydrated, check their urine. They are properly hydrated when they have light and clear urine. But, even if they don’t ask you for a glass of water, always encourage them to consume more than they like to. Often, seniors don’t embrace changes right away so it’s important to incorporate a diet change in a gradual manner. You must reinforce this idea and ensure your aging loved one is following their ideal diet. For instance, seniors with diabetes must adjust the consistency of their carbohydrate intake. They can take oatmeal for breakfast a few days every week and eat other sources of carbohydrates for the rest of the week. If your loved one is used to consuming white bread, it is time to give them wheat bread two times every week and increase this until they can totally eliminate white bread from their diet. Our home health care agency in Columbus, Ohio has professional and experienced home health aides who can give assistance to you or your loved one. Seniors may refuse to make nutritional changes even if it’s their doctor’s recommendation. This is usually the reason they may lose weight. Use your creativity to come up with meals they will like to consume. Consider making smoothies or blending foods into smoothies to make sure your senior gets the nutrients they need. Smoothies can be more appealing and easier to consume than solid foods. Ensuring that your senior loved one eats and drinks right is essential to maintain their health and wellbeing. If you need a provider of quality home health care services to assist your seniors, we are just a phone call or email away. This entry was posted in health care and tagged better health, dietary, Elderly Care, Senior Care. Bookmark the permalink.